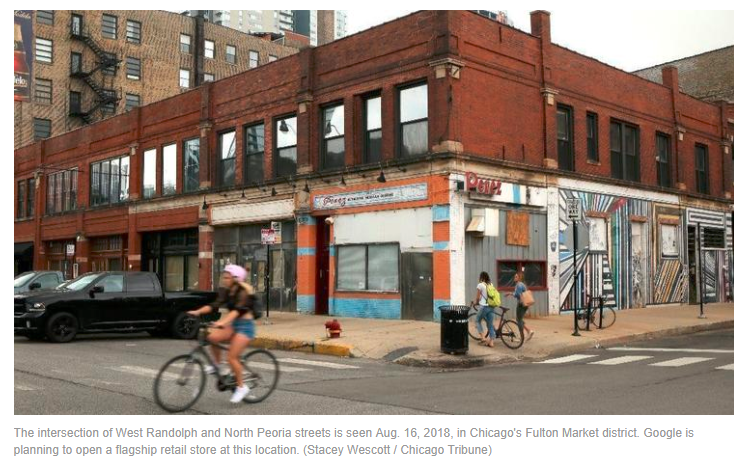 If you’ve spent time in Fulton Market district of the West Loop you’ve probably walked past the Google building. It’s tall and impressive and contains many of the tech friendly elements you’d expect from the world’s most prominent search engine. What you may not expect, however, is a brick-and-mortar retail location with the colorful letters you’ve come to know and love embroidered on the front door. 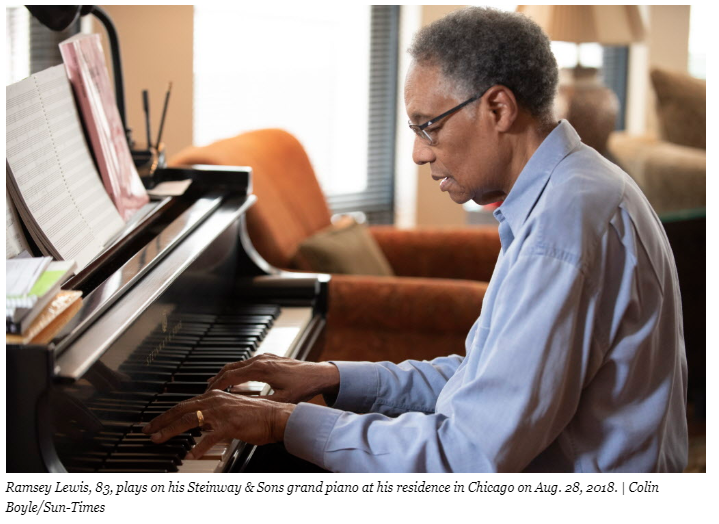 The first of its kind, Google’s store will be located near its Chicago headquarters, and while no official plans have been laid out, the Tribune reported last week that their sources indicated the tech giant would use the store to showcase their growing product base, like the popular Google home. Google spokeswoman Kayla Conti wasn’t quite ready to discuss the project, stating that the company “doesn’t comment on rumor or speculation.” Chicago continues to be a popular destination among tech giants, with Amazon reportedly installing physical locations in Willis Tower later this year. The Bears and, probably even more so, Bears fans felt truly alive for a while there. 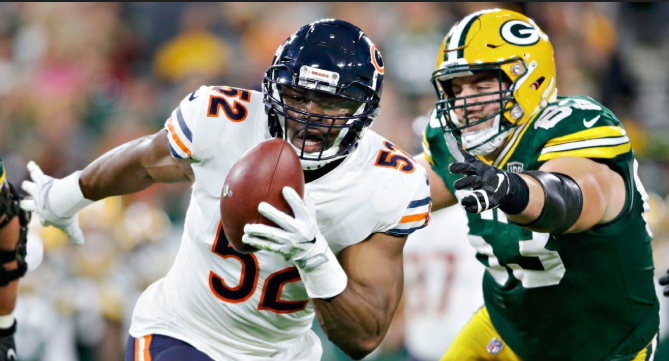 In the season opener against division rival Green Bay Packers, rookie head coach Matt Nagy had his new defensive asset Kahlil Mack and the rest of the Bears machine looking unstoppable. Unfortunately Aaron Rogers is still Aaron Rogers. Rogers left the game injured, with his team down 20 points, only to miraculously reenter the game to lead the Packers to a win over the Bears. Ultimately, one of the greatest Quarterbacks to ever play the game, and a massive thorn in the side of Chicago fans, found his trusty old weapon Randall Cobb for a go ahead touchdown. NFL media outlets and NFL Twitter alike were quick to rub it in, SB Nation went so far as to say that the comeback should never have even happened. Regardless of the short term pain, it’s certainly not all bad news for the hometown team. The aforementioned Kahlil Mack was nothing short of outstanding in the first half of his first game. Mack forced a fumble, picked up a sack, and returned an interception for a touchdown. USA Today described the impossibly sized edge rusher as dominant and terrorizing. Similarly, Mitch Trubisky looked competent at times, and it’s safe to assume that the offense will continue to squeeze production from the bottom of the tube of talent toothpaste on the roster. 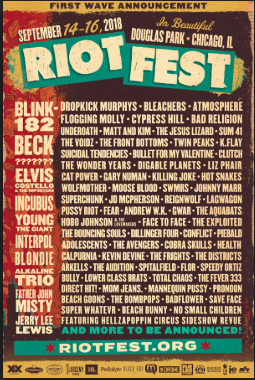 Founded in 2005 in Chicago as a tribute to the independent spirit and punk rock, Riot Fest gave away tickets on their Myspace Page (shout out to Tom) debuted with bands like the Dead Kennedy’s, The Misfits, and The Bouncing Souls. 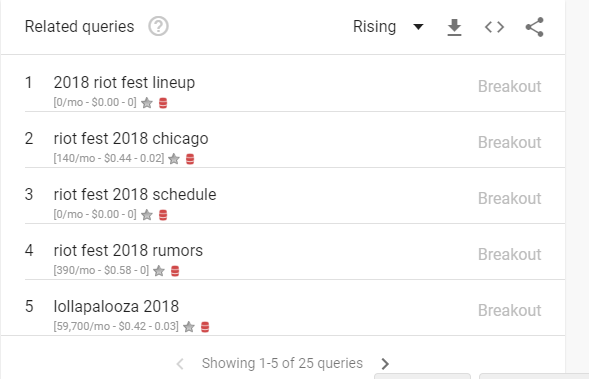 You can read about the full and rich history of the festival on their home page, which outlines a very fun chronological history of Riot Fest. The internet loves to speculate over a festival lineup, and Riot Fest has provided plenty of material to speculate over for its 2018 festival from 9/14 – 9/16. Blink 182 was a late scratch, but Weezer is in, as well as Run The Jewels and Taking Back Sunday. You can read the entire guide to the 2018 Riot Festival from Chicago’s TimeOut.com here.